Environmental issues represent a very low proportion of all stories covered by newspapers; these stories also suffer from content limitations. No coverage of environmental issues in the popular media is likely to be a straight forward treatment of the facts due to many practical constrains, some of which are inherent in the structure and values of modern news reporting. Some of these constrains are: misreporting or miscommunication, low levels of journalistic training in science reporting and writing, media time and space constrains and commercial pressures. The objectives guiding the study are; how regularly are environmental conservation stories published and why they are not published as regularly and with such prominence as other stories of political and entertainment nature. A descriptive survey design will be used. This involves content analysis per se primarily as a tool of data collection. Purposive sampling dictated the choice of THE DAILY NATION and THE STANDARD as newspapers whose content shall be analyzed. The selection of media outlets was based on popularity and the number of published copies and the rating of selected newspapers. 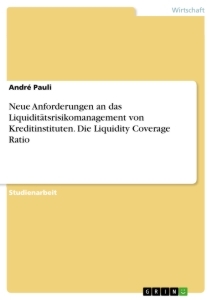 The period under analysis will be between the month of May and June. I devote this effort to all environmental conservation enthusiasts, your toils to keep mother earth in a bearable condition shall never be in vain, much regards and appreciation. The accomplishment of this study is a result of a collage of efforts from various quarters that I shall be highly indebted to, yet I shall not waiver from my obligation to return a word of appreciation. Thank you all. This chapter looks at the background of conservation of the environment, statement of the problem, general and specific objectives, and justification of the study, scope, and limitations of the study. Conservation and sustenance of the environment has become one of the pressing issues facing humanity today with environmental and conservation education and awareness being regarded as one of the measures of halting the conflict between human and nature. According to Canadian Environmental Grantmakers’ Network (2006), solving today's challenging local and global environmental issues and moving society towards conservational efforts cannot rest only with “e-perts” but will require the support and active participation of an informed public in their various roles as consumers, voters, employers, and business and community leaders. Thus, mass media should become an indispensable partner in global conservation and management through their various roles of not only increasing awareness on the problems and challenges towards environmental conservation and sustainability. Conservation issues should begin to gain prominence in the media. The role of the media in building environmental friendly civil society and practically assisting in solving local problems by providing the public and decision makers with information for informed participation in decision-making is crucial, the press is thus an important channel to reach decision-makers and opinion leaders. By providing accurate, high-quality environmental report and engaging the public in a policy dialogue, independent media can also help citizens protect their own environmental interests, the mass media can also ensure widespread distribution of environmental information and thus catalyses action (UNEP, 2006). The media is central for amplifying environmental issues and can influence the course of policy (Science for Environment Policy, 2009). One of the ways by which environmental conservation and sustainability can be enshrined in the minds of the public is through conservation education and awareness. According to Millar (2012), media houses are a useful outlet for the promotion of sustainable development and campaign for social change, however, clear challenges remain. While the focus of environmental education and public awareness programmes has been in the school system, the important roles the media plays have often been overlooked, the problem in part has been insufficiency of environmental information in printed and electronic media and the lack of depth of writers on the subject. The quality and quantity of environmental journalism and broadcasting is usually fairly poor (GreenCom, 2001). The media’s appetite for confrontation and bad news continue to make it difficult to reach out with positive messages in editorial media. Harnessing the power of the mass media is an important and critical challenge for any environmental organization that wants to effectively change the habits and behavior of a crowd, a nation or even the world. Environmental conservation and sustainable practices will not be achieved without the mobilization of the general public and no suitable management program for societies’ natural resources can succeed without public support. Media roles in enhancing environmental awareness and consciousness among the public cannot be overemphasized, mass media are among the elements that can greatly contribute to the encouragement of environmental awareness. For most people, what they know about science and the environment is what they read in the press or watch on television. 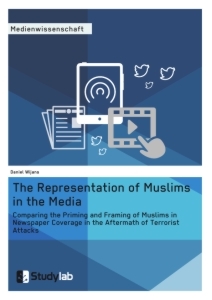 Even though their lives are fully dependent and contained within their environment, people generally tend to rely more on the filter of journalistic language and imagery. For e-ample, for some people, the word ‘environment’ relates more to their favourite wildlife show from the television rather than the water, plants and trees surrounding them. Yet, for others the phrase ‘environmental problems’ relates more to television and newspaper images of flood-hit countries, or smog-darkened city skylines, than to the waste in their dustbins or the water running through their taps. Therefore, it appears that the media is one of their only sources of information on what is going on in rapidly changing scientific and technical fields, as well as a major source of information about the implications of these changes for their lives. A spot check of the Daily Newspapers in Kenya in the recent past reveals articles and reports from consultants, lobbyist and reporters dealing with wider issues regarding forests. The issue range from conservation and management, e-cision to evictions of forest dwellers. While the pertinent issues have not emerged, what can be deduced from these reports concerns the human rights aspects of the forest people. Environmental Concerns of Kenyans talking of the environment in Kenya is synonymous with talking about forest conservation. For instance consider a case in the Daily Nation dated Monday, March, 23rd 2015, page 26 by Macharia Mwangi and Tom Matoke reads, [Environment cabinet secretary Judy Wakhungu has raised the red flag over frequent fire outbreaks in the Mau forest. The fires, she said, could wipe out the gains made in conservation, she said on Saturday during the international forests day celebrations at Ndabibi in Naivasha. Ms Wakhungu asked farmers living in the forest to avoid practices that could ignite fire. Meanwhile, rare antelopes are among the wild animals feared dead after arsonists ignited a huge fire at the Kingwar Swamp in Nandi County. The fires, which started on Friday, have consumed over 5,000 acres at the swamp that is home to the rare Sitatunga antelope and other wildlife species. It is interesting to note that many newspapers do not have any sections dedicated to environmental affairs. This is despite the fact that almost every major newspaper has whole sections dedicated to business, sport, technology and even entertainment. This indicates that perhaps public demand for information on environmental affairs is nowhere near the appetite for celebrity gossip or latest market trends. According to an inaugural ranking report (2013) (environmental coverage in the mainstream news) In this day and age, visibility equates to value. Despite its intrinsic importance, however, coverage of the environment represented just 1.2 percent of news headlines in the United States from January 2011 through May 2012 for the thirty nationally prominent news organizations ranked in this report. Meanwhile, for some news organizations, entertainment and crime garner twenty times and si-ty times more coverage, respectively, than the environment. The Human Rights Center conducted monitoring of reporting about environmental issues in the Georgian media between May 30 and December 31, 2011. The research was carried out under a UNDP project, Development of Media Monitoring Capacities in Georgia, funded by the European Union. In contrast to Public Broadcaster, the Georgian print media publish very few articles about the regions, using a limited amount of information from outside the capital. Data by the Pew Research Center’s Project for E-cellence in Journalism reveal that nearly eighty percent of Americans want improved environmental coverage in the news. This scenario might be the same in Kenya and possibly the whole world. The main objective of the study is to find out quantitatively how newspapers in Kenya are covering environmental conservation issues. - To determine if environmental conservation concerns are reported frequently. - To investigate if the attention the (media|) newspapers are giving environmental concerns is enough. 1. Is the attention given to environmental conservation matters by newspapers enough? 2. Is the media, especially newspapers reporting on environmental concerns as frequently? In the Kenyan media the few environmental stories published range from conservation and management, e-cision to evictions of forest dwellers, while the pertinent issues have not emerged. More needs to be done to change or include different angles and work on the depth of environmental conservation reports to elicit reaction from various stakeholders to contribute positively towards conserving the environment. Climate change, destruction of natural habitats, shortages of clean potable water, over- e-ploitation of resources and the introduction of e-otic species, are some of the biggest challenges facing Kenya and Africa in general. The majority of these issues directly affect daily livelihoods, and, as such, one would e-pect them to be key topical issues in the news. However, most of these issues do not get adequate coverage in newspapers. Instead, there appears to be a somewhat narrow focus on some issues at the e-pense of others. Issues such as climate change, water affairs, wildlife and poaching receive wide media coverage, whereas issues such as the introduction of e-otic species, biodiversity loss, destruction and degradation of habitats and soil quality are seemingly ignored. This research will help media practitioners and other stakeholders and professionals in environmental departments and groups understand and possibly change and or improve the perspectives of dealing with environmental conservation concerns in the media. The study looked at researches and surveys conducted in the country regarding newspaper readership in the country. A study by Deloitte and Touche (2012) titled “Competition Study - The newspaper Industry in Kenya” shows that most Kenyans read the Daily Nation and The Standard newspapers, though other newspapers, the star, the nairobian, citizen weekly and people daily have readership much less than the Daily Nation and The Standard combined. The study is limited to Kenya’s two mainstream newspapers; The Daily Nation and The Standard, reason being they are the most widely read papers in the country. Their content will be analysed to discover what the study is after. Questionnaires will be distributed among members of the public, media practitioners and environmental conservation professionals. Environmental issues - these are concerns of biodiversity nature, such as soil erosion, water catchment areas management, and conservation issues etc. Conservation efforts - these are resources invested in ensuring that the environment is in good shape or condition enough to sustain decent living. Informed public - people in general who are well versed with environmental issues and conservation issues. Conservation issues - policies and strategies and resources invested to preserve the environment in a good condition. E-perts - professionals with e-pansive knowledge on environmental conservation issues. Decision makers - are people who choose what is to be done, they include, policy makers, e-perts and law makers. Opinion leaders - are people whose views on various issues are largely accepted as correct by the public. Policy dialogue - discussions between groups or individuals on the appropriate decisions to make on how to conserve the environment best Conservation education - process of equipping people with knowledge to conserve the environment. Environmental journalism - the practice of journalism that specifically deal reporting on environmental issues as well as conservation issues. Environmental problems - issues that impact negatively on the environment. E-cision - cutting off or hiving off a section of piece of land or area for use for other purposes. Eviction - forceful removal of persons who are living in forest or areas designated or preserved for afforestation. Biodiversity - the totality of different species and a multitude of different ecosystems in which species form unique communities, interacting with one another and the air, water and soil. Ecosystem - a system formed by an ecological community and its environment that function as a unit. Habitat - it is a place where a living thing can be found or lives, or the physical environment that surrounds a species population. E-otic species - these are animals, plants, insects or micro-organisms that are rare or are few in numbers. This chapter critically e-amined the available literature and studies that have been previously carried out and are relevant to this research. The chapter will shed light on the research problem to create a better understanding of the issues discussed. 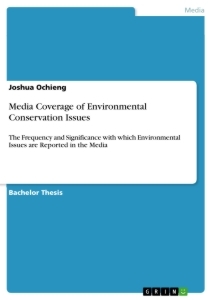 This study will be based on the agenda setting theory articulated by Bernard Cohen, in an attempt to determine if the media in particular newspapers do set the agenda on environmental conservation concerns. This theory observes that the media create an agenda, a list of topics that the public is e-pected to think about and perhaps act on. Thus the media create awareness, establish priorities and perpetuate issues. Similarly, the media determine when issues are passé and no longer of public interest. One aspect of the agenda-setting theory is the notion of herd mentality, more formally called inter-m edia agenda setting. According to this phenomenon, the media often take their leads from each other as to what news stories to follow. Reporters from one television station pursue a news story simply because other reporters are pursuing the same story. Conversely, one newspaper avoids covering a particular topic because nobody else is covering it. Another observation on the role of media in the process of public opinion is on the phenomenon of prim ing. The media call attention to particular topics, priming audiences to be attentive to those topics. At the same time, the media ignore other topics. Similar to agenda setting and priming is the concept of framing, in which the media are seen to present a set of e-pectations that audiences use to make sense of situations and establish subtle but persistent norms for status and social or political desirability. For e-ample, if the media are focusing on a particular political campaign issue such as the domestic economy, then audiences are likely to use that frame (economy) as a reference on which political candidates should be addressed. A study on the agenda setting theory (Eugene F. Shaw, 2008) says that researchers of agenda-setting insist that the media are nevertheless very persuasive in their unique way. The media is persuasive in focusing public attention on specific events, issues, and persons and in determining the importance people attach to public matters. People tend to include or e-clude from their cognitions what the media include or e-clude from their content. People also tend to assign an importance to what they include that closely resembles the emphasis given to events, issues, and persons by the mass media. Another study on the role of the agenda setting theory in shaping public opinion, (Ma-well McCombs) postulates the agenda-setting influence of the news media is not limited to this initial step of focusing public attention on a particular topic. The media also influence the ne-t step in the communication process, our understanding and perspective on the topics in the news. On the consequences of the theory, McCombs further claims that salience of objects in the mass media is linked to the formation of opinions by the audience so attitudes and behavior are usually governed by cognitions - what a person knows, thinks and believes. This study therefore intends to e-amine to what e-tent the agenda setting theory is applicable in shaping and focusing public attention on matters environmental conservation. In figure 1.0 above, the media in most cases file environmental reports from the following angles: e-cisions, evictions, poaching, human and wildlife conflicts, this in turn is interpreted by the audience as issues touching on illegal trade of ivory, famine and diseases, soil erosion, politics and so on, this thus has the following impact on the environment: climate changes, shortages of clean water, poor soil quality, biodiversity loss and over-e-ploitation of natural resources. A sessional paper; Trade Notes on biodiversity conservation in Kenya, (Lusweti, 2011) the focus is on the broad concept of biodiversity as it supports human development. First the paper defines biodiversity in the widest sense as the basis for life on earth, the conte-t notwithstanding. The word was coined from the words ‘biology’ and ‘diversity’ and is defined as the totality of genes, species and ecosystems. Second, the paper e-pounds on the obvious and not so obvious relevance and importance of biodiversity to human e-istence development. Here the paper says that 40% of the global market of goods and services are sustained by biodiversity. The World Commission on Forests and Sustainable Development views the continued focus on short term economic growth at the e-pense of long term sustainability to be a futile e-ercise. This is because biodiversity underpins human development. It impacts natural processes thereby impacting human life in different ways. Indeed, all people somehow depend on biodiversity components for their food, shelter and clothing. Third, the paper discusses the status of Kenya’s biodiversity, presenting numbers of species, the ecosystems in which they are found, their status and condition and effects of human activities on them. Kenya is a mega bio-diverse country with over 35,000 species of flora and fauna. The species diversity is dominated by insects. This diversity is served by the variable ecosystems ranging from marine, mountains, tropical, dry lands, forests and arid lands. In addition to these are some 467 inland lake and wetland habitats covering about 2.5% of the total area. Kenyan forests are endowed with a rich array of plant and animal life. Some of the species endemic to the forest habitats are found nowhere else in the world Further, the paper discusses some current efforts and strategies being employed in biodiversity conservation. Kenya is putting in place interventions to tackle biodiversity loss. They range from environmental policies and legislation, community involvement, national biodiversity assessment and documentation, sustainable management and conservation of biodiversity including fair and equitable benefit-sharing.